Warm, soft and cozy. A double sided and double layered Kayan hat will make you feel comfy and original. You can wear it with a pattern or without, just as you wish! Thanks to its breathability it's an ideal choice for any outdoor activities: running, trekking, climbing, skiing and wherever you want to take it with you. We like clever accessories - like the Kayan hat which, when turned inside out is a completely new accessory. One side is embellished with ethnic motifs inspired by the art of the Kayan people and the other - completely even-coloured. 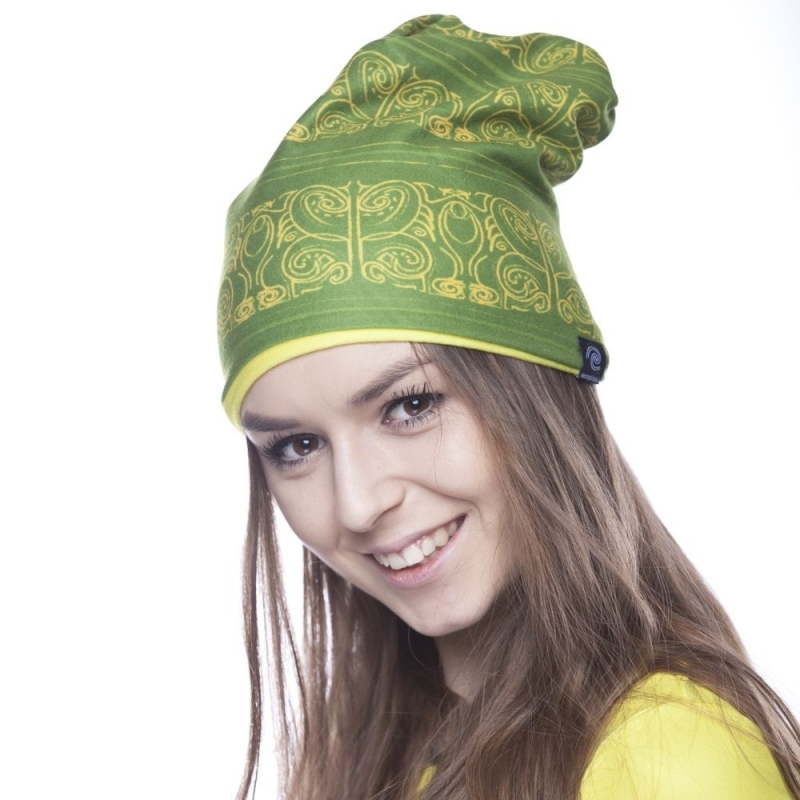 The hats are soft to the touch, made of warm and elastic fabric. Their fitted cut ensures that your ears are protected from the wind but the hat doesn’t fall on your eyes! This hat is a great additional layer to put underneath your helmet during your first snowboard class. Not to mention it’ll brighten up any look - not only the sporty kind. Fans of sets - rejoice because we have a circle scarf from the same line. There are also long-sleeve shirts and tights available.